Key points – See Corbin et al. 2016 for more details. 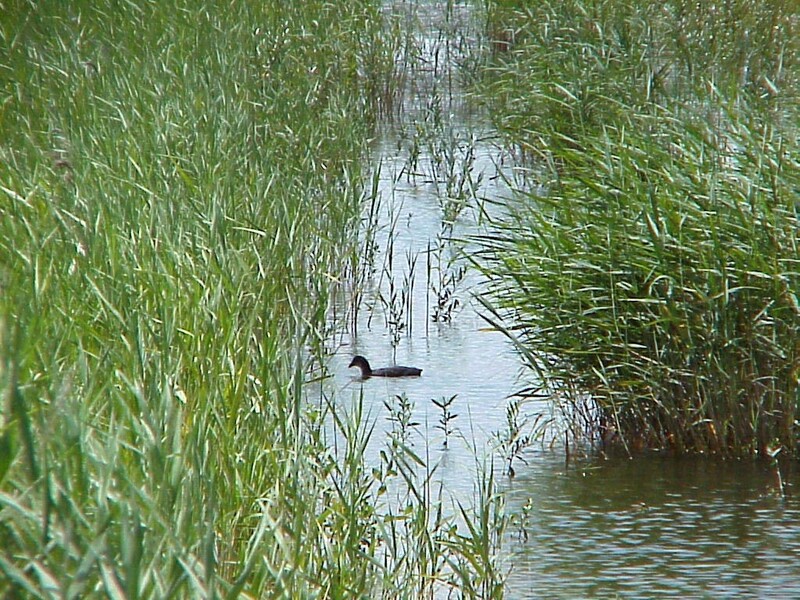 Invasive species managers should take advantage of decision support tools to help assess invasive species control projects before they begin. Such tools can reduce the time and resources spent on doomed projects. IMPDAT and WeedSearch are two such decision support tools, though there are others with a variety of inputs and outputs. Such tools can be adapted to a variety of circumstances and, for the most part, are easy to use. Besides using the tools to assess feasibility of particular projects or goals, they can also be used to identify particular vulnerabilities or critical points in a plan. You have an invasive species problem. But your resources are stretched in 10 different directions, and any money or time you spend to control one invasive species comes out of another priority. What to do? Do you initiate a program to eradicate your weed or pest? Do you try to manage it so that its population stays under control? Or do you walk away, resigned to the reality that you must accept its existence. Such decisions are never easy, yet they are inevitable. 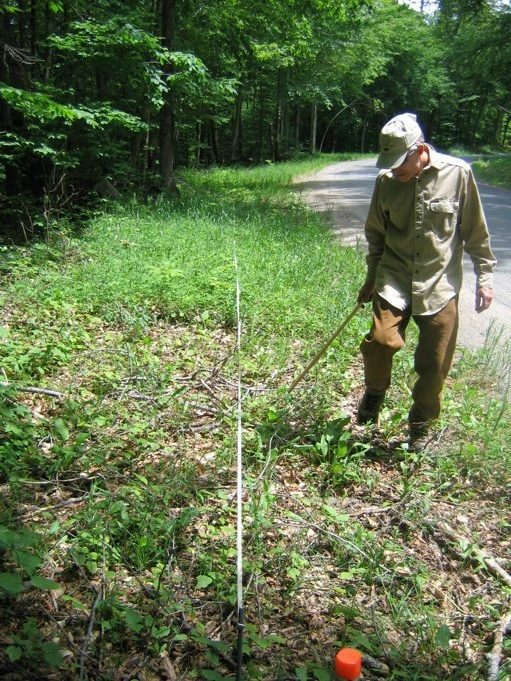 Controlling invasive species is expensive and requires many staff- and volunteer-hours. As difficult as it would be to “give up”, it might be better than investing precious dollars and hours into a cause that is doomed to fail – throwing money and, even worse, time away that could be better spent elsewhere. Luckily, there are tools available that can help prioritize or assess invasive plant species projects. My colleagues Matt Wolford, Chris Zimmerman, and Brendan Quirion and I recently illustrated two such tools: the Invasive Plant Management Decision Analysis Tool (IPMDAT), and WeedSearch (Manual and Software download). Both can be used to help guide decision-making at the start of a project and to make projects that proceed more likely to succeed. IPMDAT is a web-based “app” in which users enter mostly qualitative details about the plant’s range, demography, and control method details. It generates a recommendation whether to proceed with a predetermined control strategy, stop/consider an alternative control strategy, or to gather further information. WeedSearch requires more quantitative input with respect to demography and control, but the required data is within the range of what a manager would likely be able to estimate. It runs on MS Excel (PC only). It uses the input parameters to create a matrix model to estimate “time to eradication”. Each can be used in a variety of ways. Most simply, they can be used to assess a project at its planning stages to see if it is reasonable to proceed. IPMDAT will recommend particular management goals – eradication, containment, or suppression – or that the project not go forward. It may also conclude that more information needs to be gathered. Figure 3. IPMDAT output, showing a strategy recommendation page (L), WeedSearch output (R). WeedSearch’s output – the number of years until eradication and the cost estimate – allows the user to assess feasibility. If the time-to-eradication is too long, or the project is over-budget, then the project shouldn’t proceed. These tools can also be used to look more closely at areas of uncertainty, or to examine various scenarios. Aspects of the project such as control efficiency, search time, and species demography can all be modeled to see how variation or uncertainty might affect outcomes. You can see an example of how we applied these tools to assess an effort to eradicate a population of garlic mustard (Alliaria petiolata) in the Adirondack Park. The short version of the story is that the control effort failed – the population expanded in spite of control efforts. Figure 4. Surveying garlic mustard along North Lake Road in the Adirondack Park. But that isn’t the real lesson. The real lesson is that IPMDAT and WeedSearch could have told us before we started that our project was likely doomed to fail. Knowing this earlier could have led us to reconsider. At the very least, it should have led us to rethink our approach. Among the reasons that the project failed was that the population was already widespread to begin with. Also, though we assumed that we could control 100% of the seeds to starve the garlic mustard seedbank, in reality some plants escaped control and were able to reproduce. If we had conducted either IPMDAT or WeedSearch analysis before our project started, we would have realized the daunting challenge the project faced. IPMDAT, for example, recommended against “eradication” as a goal because of the size of the population. Instead, it recommended that the population be “contained” – even assuming complete control of seeds. But, when we acknowledged that not all seeds could be controlled, not even containment was deemed to be feasible. Figure 5. IMPDAT output, showing the query page for preventing seed escape (L) and the recommendation that “Proceeding with the Project is Not Recommended” after we answered “Yes” to the query (R). WeedSearch enabled us to model how important it would be to control all adults and prevent seeds from escaping. We changed WeedSearch parameters to find out how long it would take to eradicate the population under four different levels of control efficiency: 100%, 95%, 90%, and 85%. The conclusion: control efficiency had a large effect on the time it would take to eradicate the population. If only 10% of the adults escaped control and reproduced, it would take 50+ years to eradicate the population. Figure 6. A graph of the garlic mustard population size versus years of control effort in four different scenarios: 100% control efficiency, 95%, 90%, and 85%. If 100% of adults were controlled, the population would be eradicated in 12 years. If <90% of adults were controlled, it would take 50 years or longer. See our full paper for more details. In the case of our population, such numbers would have likely killed the project. For other projects, where the ecological significance of the site or other factors were different, perhaps the project would go ahead. But the analysis would have helped to identify key vulnerabilities. 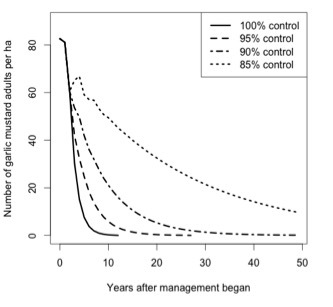 Perhaps it could alert managers to how critical it would be to maximize control efficiency. We believe that many projects to control invasive plant species would benefit from the application of decision analysis tools such as IPMDAT and WeedSearch. They are flexible enough to be tailored to a variety of species and circumstances. When used at the design stage, they can make sure that resources are used efficiently and that even identify ways that strategies can be improved. So, back to our opening question: Should a manager respond to her invasive species problem via eradication, control, or acceptance? Of course there is not one answer, or even one set of tools to answer that question. But decision analysis tools such as IPMDAT or WeedSearch can help assess the feasibility of various choices. Dr. Jeffrey Corbin is an Associate Professor of Biological Sciences at Union College. He has been studying invasive species biology and restoration ecology for more than 20 years and in a variety of systems. You can follow him on Twitter or visit his website.